instruments that can provide our patients with the highest quality care. 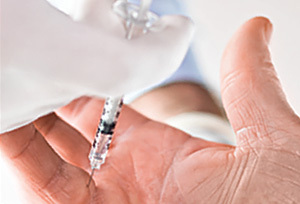 This non-surgical therapy is an injection of a concentrated mixture of the patient's own blood. 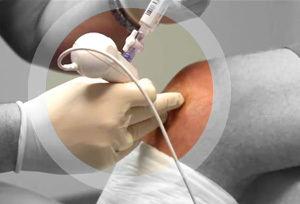 PRP injections have been shown to relieve acute and chronic pain and accelerate healing of injured tissues and joints. Conditions aided by PRP include tennis elbow, golfers elbow, ligament sprains, and rotator cuff tears. Many famous athletes have received PRP for various problems, such as sprained knees and chronic tendon injuries. These types of conditions have typically been treated with medications, physical therapy, or even surgery. Features and Benefits: an outpatient procedure that can aid in faster recovery and return to normal activities where other treatment outcomes have limited results. View our Platelet Rich Plasma Therapy page for more information. Dupuytren's Contracture (DC) is caused by a buildup of collagen under the skin. The collagen may thicken and form a tight, rope-like cord. Over time, this cord can tighten and pull the finger toward the palm, preventing fingers from straightening. Panhandle Orthopaedics offers a non-surgical treatment where medicine is injected directly into the cord and works to break it down. Features and Benefits: Procedure performed in office with no general anesthesia required. Starts working as soon as you receive the first injection, with early range of motion and return to active daily lifestyle compared to surgical treatment. Visit factsonhand.com for more information on condition and treatment. 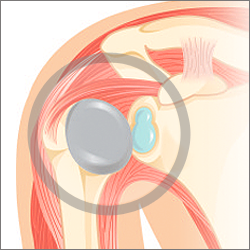 Features and Benefits: a new option that bridges the gap between “first-line” therapies and total joint replacement; patients report outstanding pain relief, rapid recovery and significant range of motion improvements; procedure may be performed on outpatient basis; maintains existing joint biomechanics allowing normal motion. Visit arthrosurface.com for more information and patient stories. This minimally invasive, arthroscopic procedure incorporates a disposable optical needle with fully integrated camera that allows real time diagnosis of patient joint injuries through a handheld tablet. Not only is this useful for diagnosis, it also contains a fully integrated lumen (port), making it possible to provide pain medication to the area using the same device. Features and Benefits: an in-office procedure that, in majority of cases, eliminates the need for an MRI and multiple doctor visits. View our Single Portal Scope page for more information. 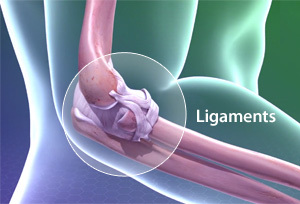 A minimally invasive procedure utilizing an innovative endoscopic system (provided by our surgical partner, AM Surgical) is used for cubital, carpal tunnel and trigger finger release surgery. 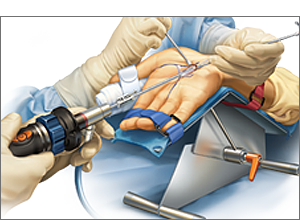 This system features the only clear cannula (tube) and scope-mounting blade combination available to surgeons that offers complete protection and visualization of the ulnar nerve throughout the procedure. The surgeon can view and cut the affected tissue surrounding the nerve with precision, ease and safety. Links to other websites and content are provided for informational purposes only. Such links in no manner indicate Panhandle Orthopaedics' endorsement, recommendation, affiliation, or relationship with the owners of such linked websites or the services or goods presented in such linked websites unless otherwise noted. Panhandle Orthopaedics has no control over or responsibility for the content or availability of any linked websites or the services or goods presented in such websites. Panhandle Orthopaedics has no conflicts with, nor does it receive any funds from any of the companies listed as a result of placement. Dr. Michael Gilmore currently has a business interest in The Surgical Center for Excellence, LLLP. All trademarks and trade logos reproduced in this website which are not the property of or licensed to Panhandle Orthopaedics are acknowledged on the website.